Finding ‘the one’ in wedding dress terms can be a journey filled with highs and lows and everything inbetween. You’ll potentially flit between every emotion: from indecision, to confusion (why are those sleeves so frilly?) to delight (OMG it could be THE ONE) to teetering on the edge of utter hysteria (it IS the one! *bursts into tears*). 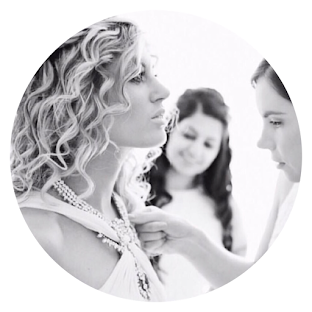 To help you on your way, I love to flag up top notch bridal boutiques that’ll make your wedding dress journey all the more effortless, whatever emotions you’re experiencing. Bridal Indulgence, a tranquil, beautifully decorated bridal store based in Crondall is one of these, and will be the tonic to your gin when it comes to finding ‘the one’. Rest in the knowledge that owner, Kerri Ashworth is with you every step of the way with her experience, expert advice and dedication. The ethereal nature of this gown instantly stood out to me. I love the beautiful handcrafted, Anjo lace and soft netting, not to mention that gorgeous voluminous skirt. Q. What body types does this gown suit? Does it accentuate the bust/waist/shoulders etc. Q. What type of bride (traditional/fashion-forward/bohemian etc.) would love this dress? Love lace? Me too. You’ll love the cool, contemporary approach that the brand has taken with this gown and its lace placement. Plus, say HELLO to a statement, cut out back too! Q.What type of bride (traditional/fashion-forward/bohemian etc.) would love this dress? Looking for chic simplicity? Meet Watter’s Leona gown. I picked this serene beauty because of it’s incredible detailing and – as you’ll know from my own choice of wedding dress – I just love a halterneck neckline! I loved the contemporary floral touches that this gown flaunts, not to mention that silhouette. This gown is made for a bridal goddess. This has got bohemian goddess written all over it. I was instantly obsessed with this gown’s voluminous tiered ball gown skirt, so it definitely had to make the final edit. Want to book in an appointment with Bridal Indulgence to try on one of the above gowns? Click here. Discover more from Bridal Indulgence here.